Dealing with the devastation caused by Hurricane Sandy in the United States East Coast provided President Barack Obama and New Jersey Gov. Chris Christie, a stalwart Republican, a rare chance to show bipartisan cooperation. Sandy just as Obama and Republican challenger Mitt Romney are in the last week of their race for the White House. In interviews with the media, Christie, a leading Romney supporter, has been very effusive in praising the relief efforts directed by the Obama administration for his home state. “He has worked incredibly closely with me since before the storm hit. I think this is our sixth conversation since the weekend. It’s been a great working relationship,” Christie said. In return, Obama commended Christie for “working overtime” and for putting “his heart and soul” to make sure that New Jersey gets back on its feet. The two then proceeded to tour the areas hammered by Sandy in the region, with Christie posting his pictures with Obama on his Facebook page. Prior to this, Christie declared in an interview on Fox News that he “do not give a damn about presidential politics right now” when asked if he will accompany Romney in touring the affected areas. This pronouncement, together with Christie’s continues praise for Obama, has left many Republicans feeling uncomfortable about him. Christie, after all, was Romney’s handpicked keynote speaker at the Republican National Convention last August. Christie and Obama hasn’t always been the best of friends. 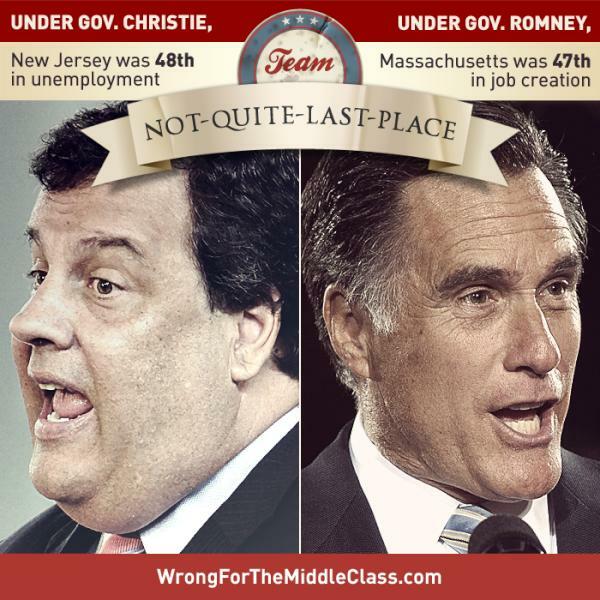 An hour before Christie spoke at the convention, Obama’s campaign uploaded an infographic on Twitter lumping Christie and Romney as a “Team Not-Quite-Last-Place.” It mocked Christie and Romney’s record on job creation. Just last week, Christie attacked Obama in a Romney campaign event in Virginia, essentially saying that the president is clueless about his job. 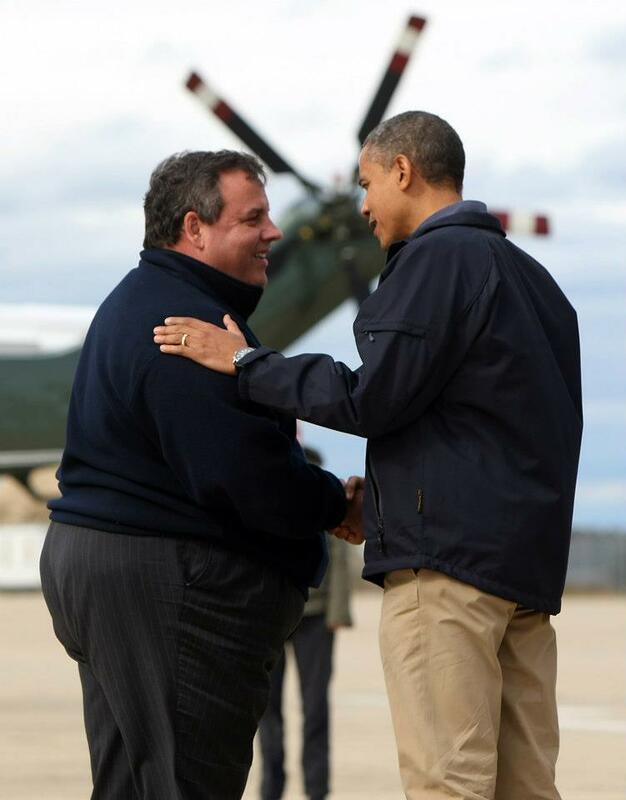 The working relationship between Obama and Christie has received a lot of attention from politicians and the media alike. Los Angeles Times (LAT), for instance, is suggesting that this public display of bipartisanship might help Obama in his reelection bid against Romney. Iowa’s Des Moines Register cited Romney’s ability to compromise with Democrats as its main reason in endorsing him and not Obama. LAT added that this may help Christie as well as he prepares for his own reelection run in 2013 and for a potential 2016 candidacy should Romney fail to unseat Obama. The race between Obama and Romney remains extremely close though the president maintains a small but persistent lead in swing states. Whatever their motivations are, isn’t it refreshing to see political antagonists standing shoulder to shoulder to make sure that the public gets the service they deserve? This is one lesson that politicians from around the world particularly the Philippines should learn. This entry was posted on Friday, November 2nd, 2012 at 12:43 am	and tagged with barack obama, Chris Christie, Chris Christie and Barack Obama, Chris Christie endorses Barack Obama, chris christie for president 2016, Chris Christie praises Barack Obama, chris christie slams fox news, Hurricane Sandy, mitt romney and posted in commentary, politics. You can follow any responses to this entry through the RSS 2.0 feed. Hah epic – I hadn’t seen that infographic (or those stats) before; as I said in my blog (tommygilchrist.wordpress.com) I think that Christie has done Obama a great service. With 8 out of 10 Americans thinking that Obama has handled the storm well, Romney’s campaign seems to have lost it’s “Mitt-mentum” (http://goo.gl/wlX3t). I’m yet to see the maths that gives a Romney victory.